Former president of Ethiopia’s Somali regional state, Mahamoud Omar, a.k.a. Abdi Illey, is being held under federal custody barely twenty-four hours after he resigned his post. 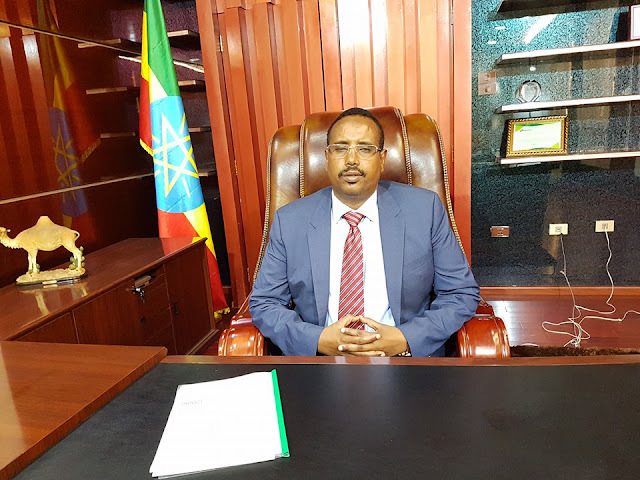 “Officials from Ethiopia’s Somali region told the Ethiopian Somali region media that Abdi Mahmud Omar who resigned yesterday [6 August] as a governor, was arrested by Ethiopia’s federal military,” the state-run ESTV website reported. “Officials from the Somali region in Ethiopia have confirmed to us reports of the arrest of Abdi Mahmud Omar,” the report added. Privately owned Addis Standard added that the former leader and top military officials had been rounded up by federal forces deployed on Monday on request of the Somali regional authorities. They are due in the capital Addis Ababa. Illey who has been president of the region since 2005 agreed to step down in the wake of a face off between federal forces and notorious regional paramilitary unit, the Liyu police. The region’s head of finance Ahmed Abdi Sheikh Mohamed was appointed to replace him. Despite his resignation, the former leader according to reports maintained his position as leader of the ruling party in the region, Somali People’s Democratic Party (SPDP). The Somali region has been plagued by violence for the last two decades. The government has fought the rebel Ogaden National Liberation Front (ONLF) since 1984 after the group launched its bid for secession of the region, also known as Ogaden. Since 2017, clashes along the province’s border with the Oromiya region have displaced tens of thousands of people.